The Golden Rule-'do to others as you would have them do to you', 'what is hateful to you to your fellow don't do', to take the two most familiar formulations-defines a meeting place for many fields of learning. There the study of comparative religion, philosophy and ethics, anthropology and sociology, and the whole range of cross-cultural studies carried on in the social sciences and the humanities intersect. That hardly presents a surprise, since the Golden Rule finds a place in most religions and is universally acknowledged to form a part of the shared heritage of human wisdom. But if it is one thing on which religions concur, that does not mean the Golden Rule is simple or self-evident. Its ubiquity presents us with tough questions of context and difficult problems of content. Both the Golden Rule itself and how it attests to the human condition demand study. Defining the rule and explaining its universality in religion and culture require attention. 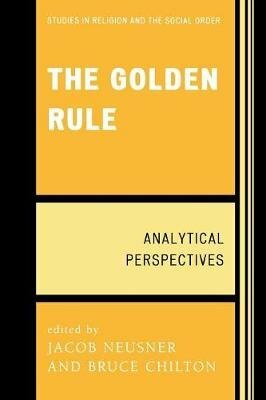 The role of the Golden Rule in various systems of thought, both religious and philosophical, invites study. How the logic of a given system interprets the Golden Rule demands analysis. Objective data deriving from empirical study of nature and society deserve close examination. Specialists in a wide range of disciplines have a contribution to make out of their particular disciplines and areas of expert knowledge.